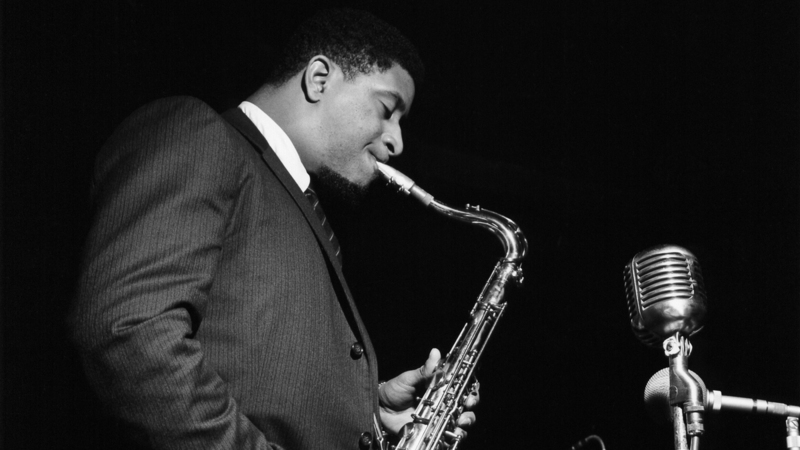 Sonny Rollins Spent A Mythical 'Night at the Village Vanguard' 60 Years Ago Today On the 60th anniversary of the touchstone jazz album, Sonny Rollins, Fred Hersch, and others recall the room's magic and its enduring legacy and influence. Sonny Rollins during the recording of A Night at the Village Vanguard. One of the greatest jazz albums ever made was recorded 60 years ago today. It's A Night at the Village Vanguard, a live date by saxophonist Sonny Rollins, featuring a muscular backdrop of bass and drums. It's not a carefully plotted concept album, nor a manifesto, but a document with the slangy nonchalance of a conversation overheard on the street, extemporaneous and unburdened. It's a slice of musical vérité that captures a true master of the form on a good day, in a generous and jocular mood. At 87, Rollins is an acknowledged eminence in American culture: Earlier this year his archives were acquired by the Schomburg Center for Research in Black Culture at the New York Public Library, and there's a serious effort afoot to rename the Williamsburg Bridge in his honor. He's also legendarily self-effacing, the harshest critic and most reluctant listener of his own past work. By his estimation, he hasn't heard A Night at the Village Vanguard since shortly after it was released. But, when I asked him to talk about the album and the circumstances around its creation, he readily obliged. "The Vanguard was sort of the premier room at that time," he recalls, speaking by phone from his home in Woodstock, N.Y. "A lot of guys played there, and they all seemed to express the music without any sort of impediment. I felt particularly comfortable." In the original liner notes to the LP, released on Blue Note Records in 1958, Leonard Feather notes that it "constitutes a double premiere." He's referring to A Night at the Village Vanguard being both the first live documentation of Rollins as a bandleader and the first album recorded the Village Vanguard, a wedge-shaped basement room regarded, then and now, as "one of New York's foremost havens of contemporary jazz." Feather doesn't make much of it, but A Night at the Village Vanguard is a slightly misleading title, because the album also includes material recorded at an afternoon matinee. 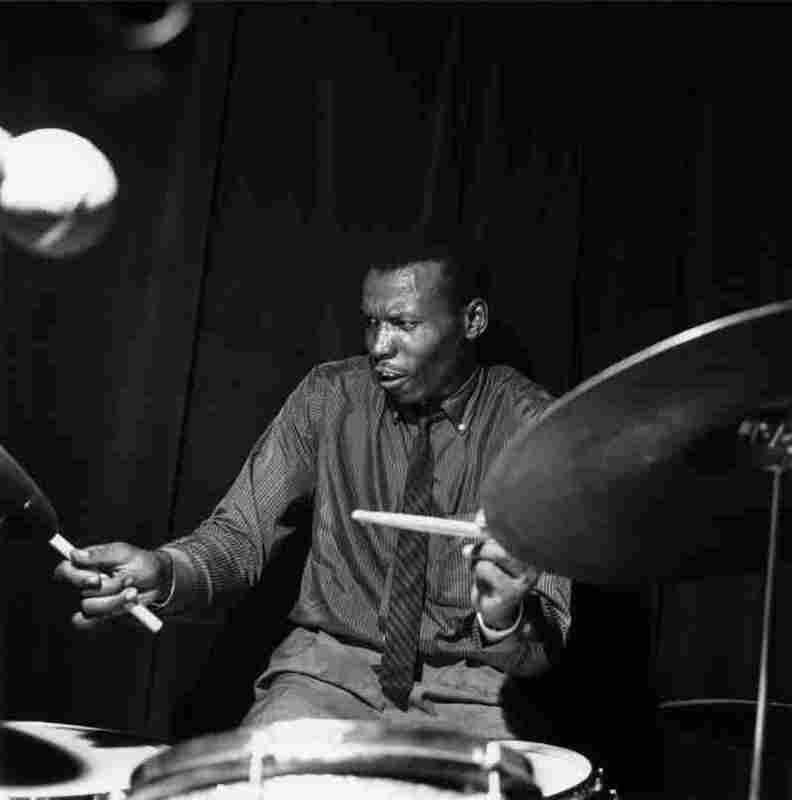 The evening trio features bassist Wilbur Ware and drummer Elvin Jones, an assertive rhythm team that combined high-end volatility with the feeling of firm traction underfoot. In the afternoon, Rollins used Donald Bailey on bass and Pete La Roca on drums — a pairing with plenty of firepower but less mystery and nuance. Each trio carves up a standard-heavy menu, with Rollins' tenor out front. He's a garrulous, but never gratuitous, host, wheeling through tangents and drawing thematic connections. Whether caressing songbook ballad "I Can't Get Started" or charging through his own boppish "Striver's Row," he sounds athletic and inspired, completely in the zone. Generations of saxophonists have drawn inspiration from this document — especially when working in the spartan format of tenor, bass and drums, with no chordal instrument to trace harmonic contours or provide helpful cover. I've seen Joshua Redman with his trio at the Vanguard, paying an unspoken tribute to Rollins that felt both compulsory and earnest. I've heard similar echoes in pianoless trios led by the tenor sax players J.D. Allen, Jon Irabagon and Melissa Aldana, among many others. Two nights ago, during a benefit for Puerto Rican hurricane relief at the Jazz Gallery in New York, saxophonist Branford Marsalis teamed up with Larry Grenadier on bass and Bill Stewart on drums, in what seemed an ad-hoc grouping. Their first tune was a swinging romp through Cole Porter's "Just One of Those Things," precisely the sort of tune you'd expect to hear from a Rollins trio, with a buoyant sense of phrase (and even some choice quotations) that made the homage clear. Jon Irabagon, who calls A Night at the Village Vanguard "a formative album for me," gave it a fresh listen this week, and was struck again by its genius. "Rollins had one foot completely in the tradition, he was mining these standards, and he was also part of the aliveness — the surging life-quality — of jazz," he said. "Then it's the harmonic freedom, the melodic integrity and just the playfulness that he had. It's not beholden to some kind of codified language. There are so many surprises and twists and turns. You can hear the entire history of jazz on that record, up to that point." It would be misleading to imply that Rollins' heroic performance on A Night at the Village Vanguard is primarily of interest to other saxophonists. "It's a textbook example of what modern jazz improvisation should be," the pianist Fred Hersch pronounced in an email. "Sonny plays with intelligence, warmth, humor and an expressive technique that seems to know no bounds." Hersch, who literally wore out his first copy of the album, advises all his piano students to study it closely, "as a means to understanding the subtlety of phrasing and deep connection to rhythm that Sonny, Wilbur and Elvin display." A powerful wave of acclaim carried Rollins to the Vanguard stage. He had been highly productive the previous year, recording a momentous run of albums for Prestige — including a defining statement, Saxophone Colossus. He then signed to Blue Note, recording his label debut, Sonny Rollins, Volume 1. That same year he married the actress and model Dawn Finney, and while their union only lasted about a year, it yielded one enduring artifact: a genial 12-bar blues in B-flat major that Rollins titled "Sonnymoon for Two." It made its first recorded appearance on A Night at the Village Vanguard, kicking off the record's second side. Rollins didn't have a working band at the time of his Vanguard debut, and although he'd used a quartet with pianist Wynton Kelly in a Blue Note session several weeks earlier (for the album Newk's Time), he kept tinkering with his personnel. Feather reported in his liner notes that the first week of the engagement featured a quintet, with trumpet as well as tenor in the front line. "I was very tough on guys," explains Rollins. "And during that whole period when I was at the Vanguard, I remember I was firing a lot of guys that came in to audition by playing a set. I let go of a lot of people. I know that I was a pretty hard taskmaster at that time." He doesn't specifically recall a trumpeter, but according to research by Lewis Porter and other historians (in The John Coltrane Reference, on Routledge), Donald Byrd appeared with Rollins at the club. The tinkering ended with the group recorded on the evening of Nov. 3. "I had the ideal trio in Wilbur and Elvin," Rollins says. "I mean, if I wanted to present myself as the Sonny Rollins Trio – well, I certainly had no excuses with Wilbur Ware and Elvin Jones." 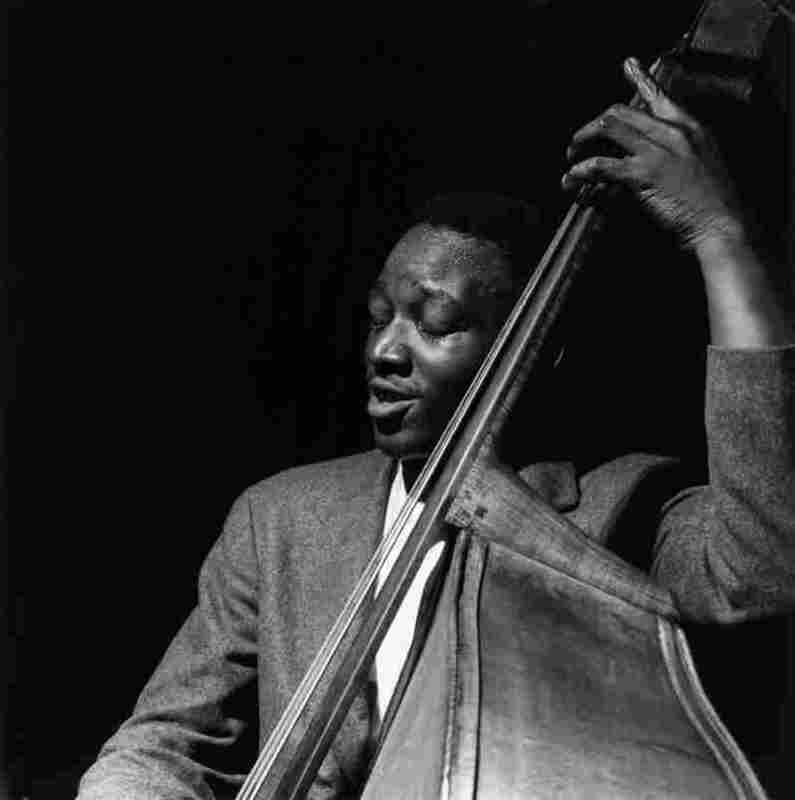 Ware was known in New York at the time as the bassist in the Thelonious Monk Quartet; Rollins first met and played with him in Chicago in 1949, in a circle of local players that included the spectacular drummer Ike Day. "He was terra firma," Rollins said of Ware, "and that's one of the requirements of playing in the trio." As for Jones: "Elvin was definitely one of my favorite drummers, as far as rapport," Rollins said. "He was more proactive than other drummers. It fit exactly with what I heard. You know, that laid-back sort of six beat that he had, which he played so expertly." What Jones and Ware produced together, more than any other configuration during the run, was a quality of assertive engagement, notably in the realm of rhythm, without stepping on their leader's toes. "I'm a soloist, so what I needed was support," he said. "I needed support from the bass, I needed support from the drums. And these guys could give me support." To call it "support" isn't entirely accurate, though, as Rollins himself admits. "When I'm playing trio, everybody has to know what they're doing," he added. "Everybody's out front. Even if they're supporting me." A Night at the Village Vanguard was released in two volumes, but in 1999 Blue Note released a "complete" edition on CD. That version, now available on an array of streaming services, is a trove of insights, shedding light on the original LP. Among other things, you can hear a version of "A Night in Tunisia" played by the evening trio, at a less urgent tempo; it's wonderful, but you can see why Blue Note's Alfred Lion decided to interpolate the matinee take. You can also hear Rollins' banter between songs, casual and welcoming, but with a faint ironic air. At one point, introducing "Old Devil Moon," he identifies it as a song from the Broadway musical Finian's Rainbow, but then wonders aloud: Was it actually from Kiss Me, Kate? The consensus in the room — Finian's Rainbow — is correct, but Rollins still isn't sure. He proceeds in a deadpan: "So we'll now give you 'That Old Devil Moon' from the hit show Lil Abner." The scattered laughter that follows is the first sound you hear, fading up, on the original LP. When I brought up "Old Devil Moon," Rollins said it was one of his favorites. "I believe that song was from Kiss Me, Kate," he added. "But I don't know about that." He loves the song, composed by Burton Lane, specifically for its harmonic architecture, and what it enables an improviser to do. "The form was perfect for me," he said. "I could say what I wanted to say in the declarative way that I was playing. The melody just fit right into that. That song, it gave me just the right structure for me to say what I was saying." 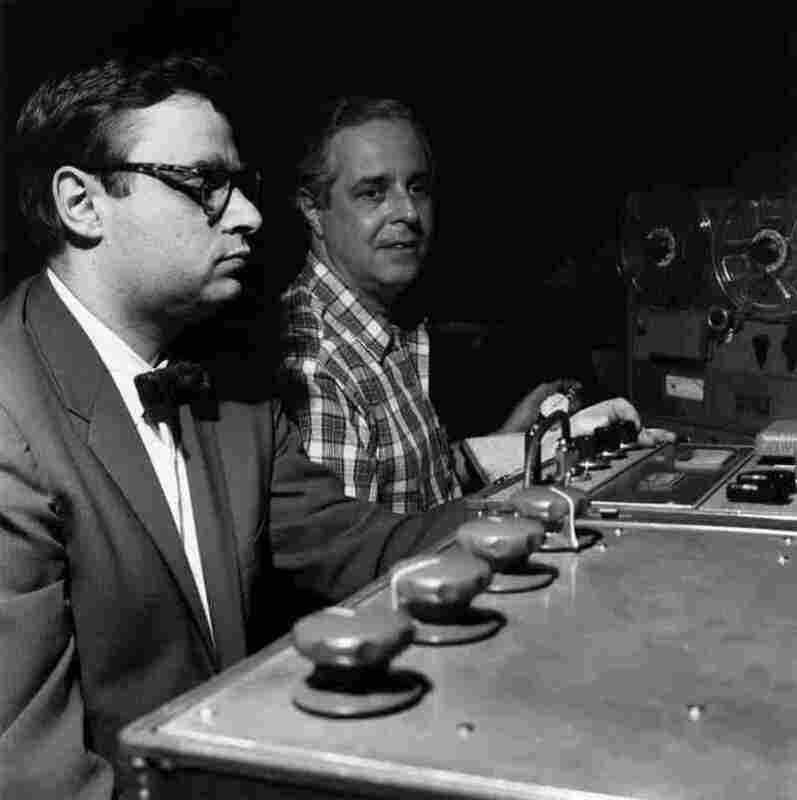 A Night at the Village Vanguard began a glorious, ongoing tradition of live albums made at the club, more than a few recorded by Rudy Van Gelder, manning his equipment from a table by the stage. The saxophonist John Coltrane and the pianist Bill Evans each made stone classics there in 1961. The custom continues to this day. But there was never a follow-up Vanguard recording from Rollins, which may have something to do with the club's founder and owner, Max Gordon. When I asked about his rapport with Gordon, Rollins bellowed with laughter, paused, and then laughed some more. "Yeah, sure, I had a rapport with Max," he said. "Max was very astute. He knew what was good. I don't know how come he became such an expert on guys, but he did know a lot of stuff." Gordon died in 1989, and his widow, Lorraine Gordon, took over the club. Max Gordon's memoir — Live at the Village Vanguard, first published in 1980 — includes a wry chapter titled "Sonny's the Greatest," with a lot of emphasis on the eccentricity and unreliability of its subject. Gordon also seemed to feel that Rollins used the club as a stepping stone. "Yeah, I know all about Sonny Rollins," the chapter begins. "He's up in the big time now." What's remarkable about the legacy of Rollins' album is that both he and the Village Vanguard are still with us, 60 years on. This evening, the Fred Hersch Trio will be in the club, paying homage simply by bringing their best. "As one who has played (and recorded) for many years at the Vanguard, I can attest that the sound of this record captures the acoustics of the club quite faithfully," Hersch said. "There is a buzz in the air that you can feel, and it makes you believe that you have the best seat in the house for this evening of extraordinary music-making." And whatever residual feelings Rollins may have, he doesn't hesitate to say that he takes pride in the historic attributes of his album. "That was an extra little blessing, really," he said. "You know, starting the tradition of recording there. So I'm very proud of the fact that it was the first album from the Village Vanguard. There's something otherworldly about the fact that that was the album, and it wasn't that bad."